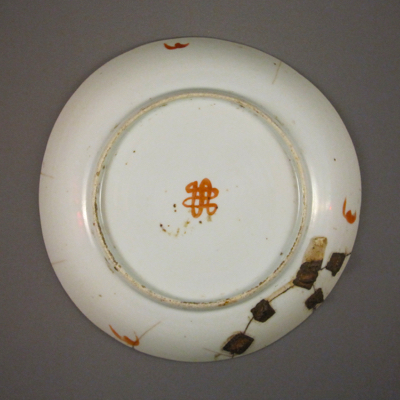 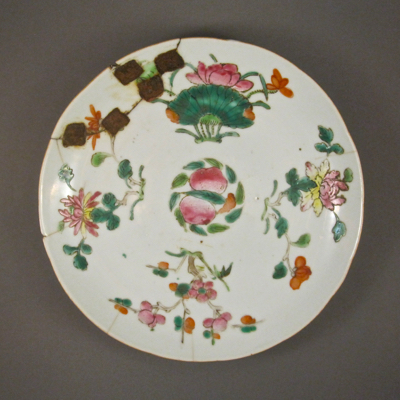 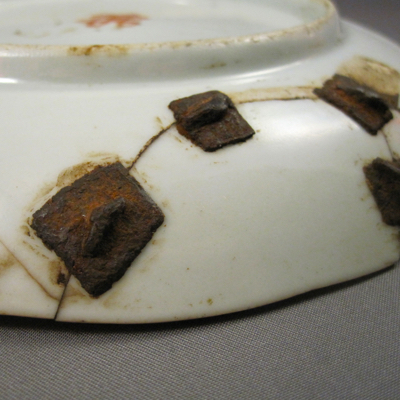 There is nothing terribly exciting or special about this small plate, but the rustic repair is impressive. 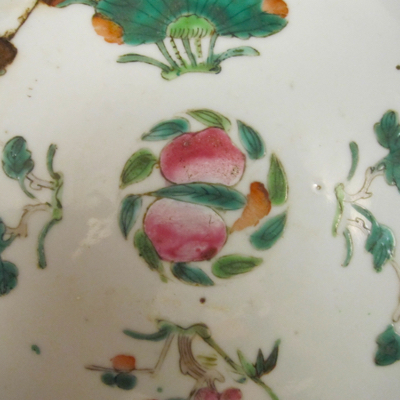 It was made in China in the late 1800s to early 1900s and is decorated with hand painted peaches and lotus flowers in the Famille Rose palette. 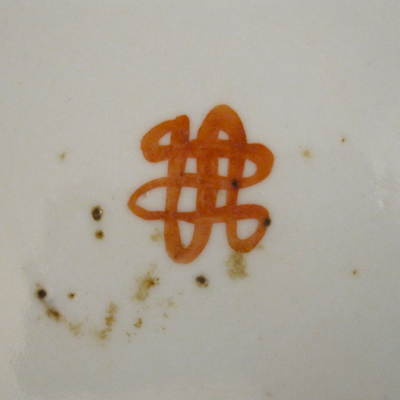 It measures nearly 7 inches in diameter and has a squiggle signature on the underside. 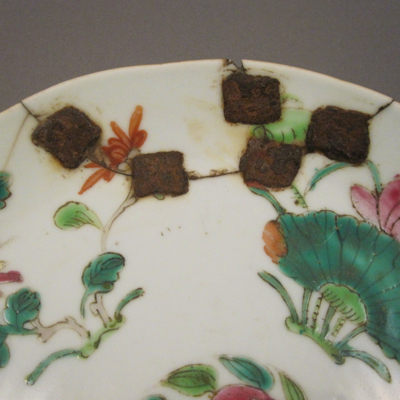 The 10 small iron bits, 5 on each side of the plate, are clearly visible and add an interesting graphic element. 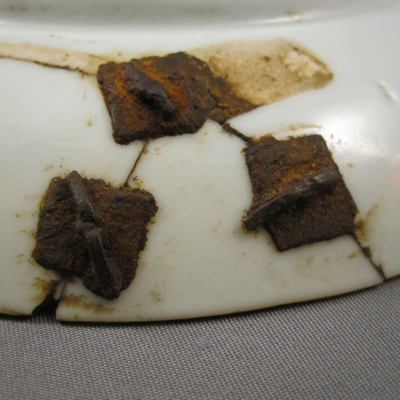 Again, not a particularly rare plate, but these unusual repairs elevate it to another level.